For the long Memorial Day weekend, my girlfriend and I headed to Minneapolis, MN to visit some friends and of course, indulge in some of their best restaurants. Before heading over, I knew of a few "touristy" meals I had to try... unfortunately, we only had time to give two of these a try. This sanity scene post features those "tourist" meals and the experience behind them! 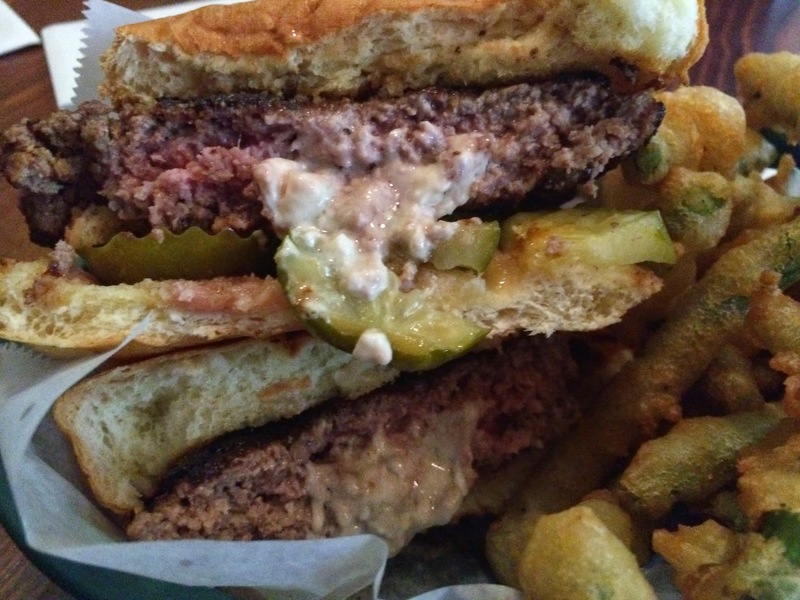 Minneapolis is known for a signature burger creation... the Juicy Lucy. Basically, it is a stuffed burger, so the cheese is on the inside. 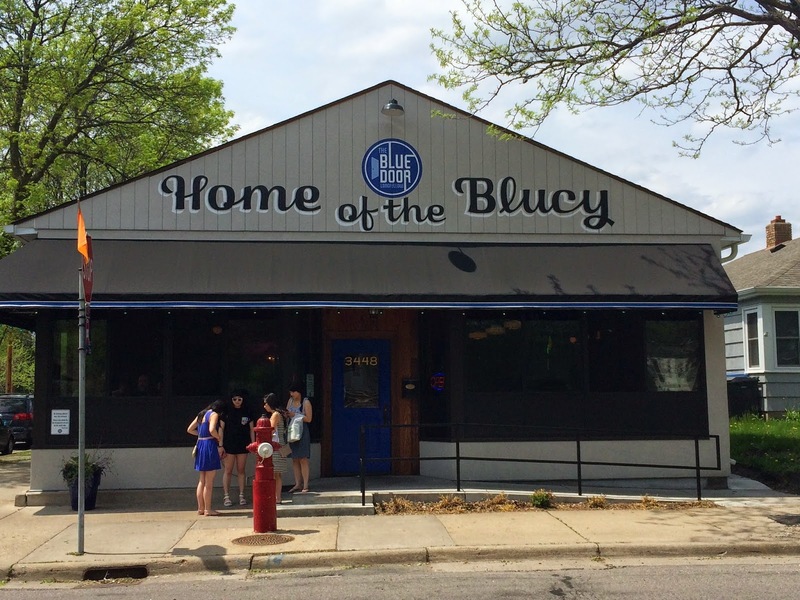 A spin on the Juicy Luicy is The Blue Door Pub's signature Blucy. I gave it a try and it was tasty. 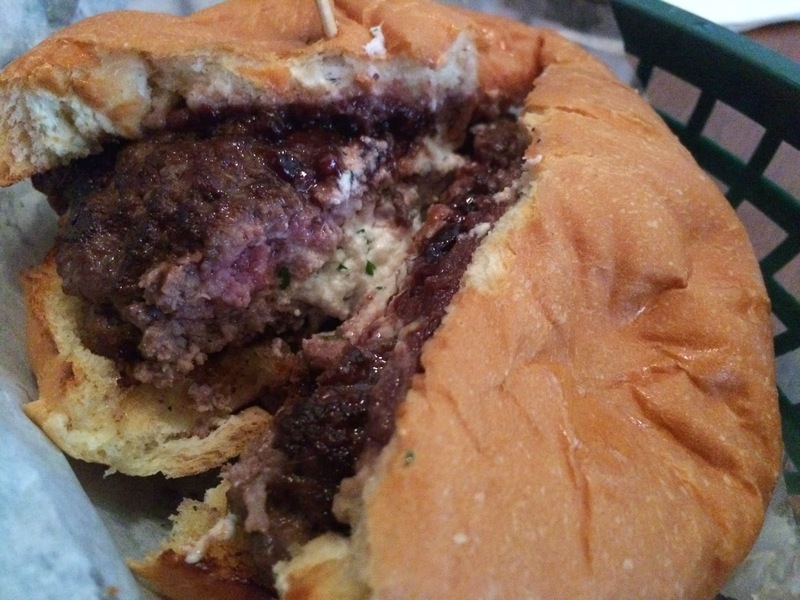 Two burger patties are put together, but before sealing the patties, a nice helping of blue cheese is stuck between them. Unfortunately, the cheese sort of sits in the middle of and doesn't spread throughout the burger. My girlfriend chose the Longfellow version of the blucy, which was the same burger filled with goat cheese and a blueberry compote. The sweetness from the blueberries was a wonderful contrast to the sharp goat cheese. Still, all the filling and creaminess was located in one or two bites... right in the center of burger. Honestly, I prefer the normal cheeseburger because each bite has cheese, but still give it a try and see what you think! 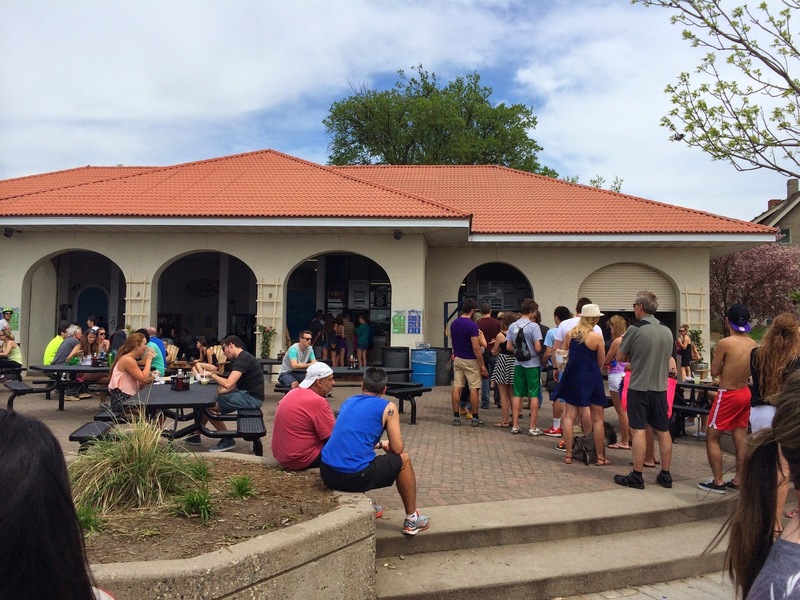 After roaming around Lake Calhoun for a few hours, our group worked up an appetite. We decided to wait in the long line for nearly an hour to order fried seafood sampler plate. 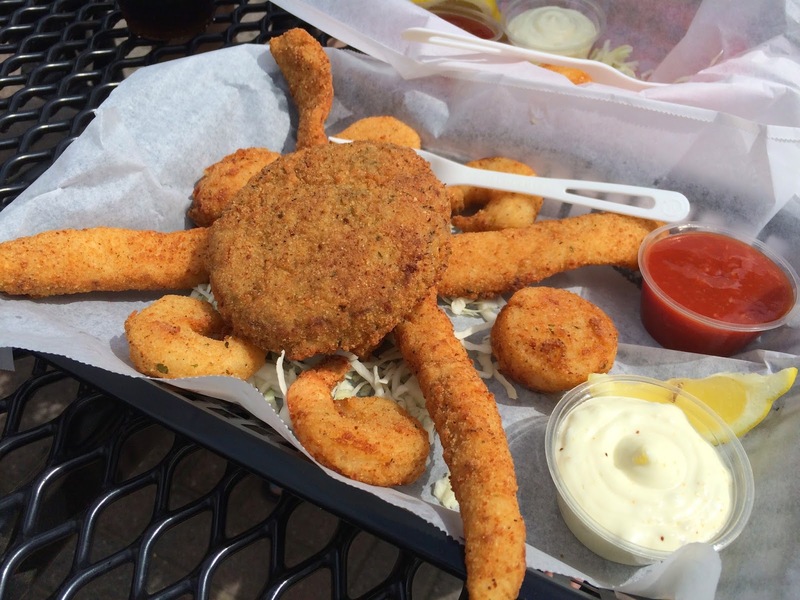 This appetizer plate came with four fried shrimp, four fried fish strips, a couple fried scallops, and a crab cake. Both cocktail and tartar sauce were served alongside the fried seafood. Where to start... the line is not worth waiting for the fried seafood. The scallops were undercooked, the shrimp were over cooked, and the crab cake had more breading than crab. The fish sticks were actually pretty tasty, especially with a little lemon and tartar sauce. But, at $20, it is not worth it. I will say, they do serve a pretty mean frozen lemonade and some good looking fish tacos. I suggest those options over the sampler. Huge line at the Tin Fish. Takes about one hour to get through it all.